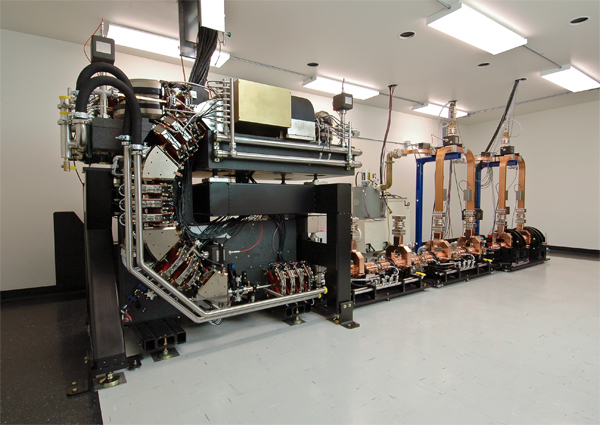 Compact synchrotron EUV sources; spectrometers; magnet record. For some time, the industry has been exploring the development of next-generation power sources for extreme ultraviolet (EUV) lithography. ASML and Gigaphoton are separately developing EUV sources based on the more traditional and compact laser-produced-plasma (LPP) technology. Then, in R&D, others are exploring the development of futuristic EUV sources using giant synchrotron storage rings. GlobalFoundries and others have been exploring the free electron laser (FEL) approach, while others are developing steady-state microbunching (SSMB) technology. Another company, Lyncean Technologies, has another idea—a compact synchrotron source for EUV lithography. Still in the R&D stage, Lyncean is developing a 1-kW compact EUV source, which measures 5 x 12 meters, according to a recent presentation from the company. In theory, each source works in conjunction with a single EUV scanner. Each source would cost approximately $30 million, according to the company. In comparison, a FEL could generate 10- to 20-kW of EUV power in a stadium-like storage ring. A ring would serve multiple scanners. The cost for this configuration would run from $300 million to $500 million, according to the company. Lyncean is no stranger to the technology. The Fremont, Calif.-based company has developed and shipped its so-called Compact Light Source (CLS). Unlike large-scale synchrotron sources, the CLS is a miniature synchrotron X-ray source that fits in a typical laboratory space. The technology is based on previous research performed at the SLAC National Accelerator Laboratory and Stanford. In 2012, the first CLS was purchased by the Center for Advanced Laser Applications in Germany, a joint project of the Ludwig Maximilians University of Munich and the Technical University Munich. Used for X-ray metrology applications, the CLS has been in operation since 2015. 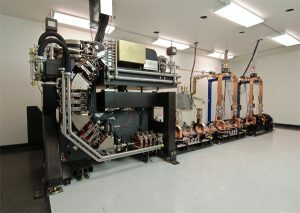 Now, Lyncean is developing a compact EUV source. The main difference between the current product and the proposed EUV source is the storage ring design, according to Jack Kasahara, vice president of business development of Lyncean. The company plans to build the system sometime next year. “We are looking for funding and we will move into a new facility that would be suitable for a demo source at that time,” he said. DESY, the Helmholtz Centre for Materials and Energy, the Paul Scherrer Institute and the Göttingen Campus have devised a new class of X-ray spectrometers. Using Fresnel zone plates, the spectrometers provide a more efficient way of conducting experiments using soft X-rays. It can be used in several applications. “We can use the structure of the electrons or the electron configuration of a system to deduce such things as the bonding state of individual chemical elements, even in disordered materials,” said Zhong Yin, a researcher at DESY. The National High Magnetic Field Laboratory (MagLab) has broken another world record for magnets. 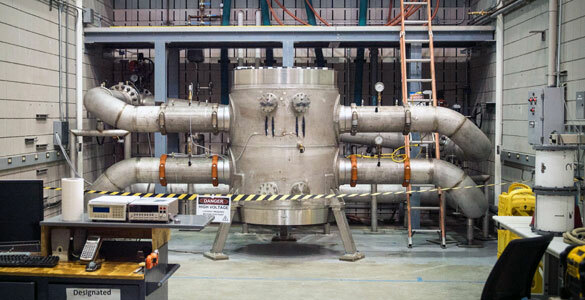 This time, MagLab reclaimed the record for the strongest resistive magnet. The 6-ton magnet achieved a measurement strength of 41.4 teslas. The previous record-holders included a 38.5-tesla resistive magnet in Hefei, China, as well as a 37.5-tesla resistive magnet in Nijmegen, the Netherlands, according to MagLab. Tesla, or T, is the measurement of magnetic field strength. Another measurement unit is called gauss. One tesla equals 10,000 gauss. A refrigerator magnet has a field of 0.01 T or 100 gauss, according to MagLab. The Earth’s magnetic field is about 0.5 gauss or 0.00005 tesla. An MRI scanner has a 1.5 tesla magnet. At MagLab, magnets are used as scientific instruments. The magnets are cylindrical in shape with a hollow core. Researchers insert samples in the core to collect data. Magnets are used to study materials, chemical compounds and biological processes. These processes are revealed when a specimen is exposed to high magnetic fields. There are several types of magnets. Based on iron, a permanent magnet will stick to a refrigerator. Another type of magnet, the electromagnet, is made of coils of wire and can be turned on and off. Meanwhile, there are two types of electromagnets–superconducting and resistive magnets. Resistive magnets use copper and silver as conductors. Superconducting magnets use special materials that carry current. MagLab has been developing a new resistive magnet, dubbed Project 11. The magnet is fueled by 32 megawatts of DC power. The 6-coil unit is 730mm tall and 1,000mm wide. typo – 0.01 Tesla is 100 Gauss for a good refrigerator magnet.